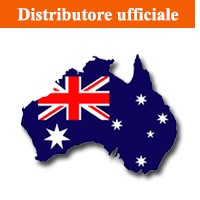 azienda italiana-prodotti made in Italy-Fiere del regalo-Fiere internazionali del caffè-modelli di caffettiere moka-Top Moka Italia-prodotti italiani. We're back again. This October 25th - 27th, TopMoka will be present at TriestEspresso Fair with all its novelties and shiny colours. We'll be in Hall30, Stand 31. We'll be waiting for you and, who knows, we might even have a coffee together in a true Moka 'Made in Italy'. See you there. Questo Ottobre siete tutti invitati all Fiera TriestEspresso, al Padiglione 30, Stand 31. Top Moka vi aspetta con tutte le sue novità e meravigliosi colori. 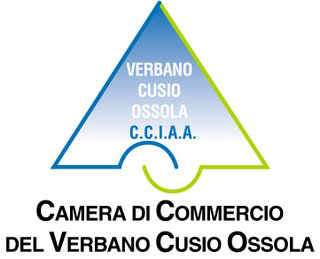 Non mancate sarà un'occasione per conoscere un vero prodotto 'Made in Italy'. • 22 April 2015: quest'anno la consueta Fiera SCAE World of Coffee va al Nord. Tenuta nell'elegante Centro Congressi di Gothenburg, si svolgerà dal 16 al 18 Giugno. Poteva Top Moka mancare ad un tale evento? Lascio a voi la risposta!!!! Molti inviti di entrata saranno spediti a tutti i ns. clienti che vorranno partecipare all'evento e venirci a visitare allo stand N. A9. Arrivederci in Svezia. This year, the usual SCAE World of Coffee Fair, goes Nordic. Taking place in the classy Swedish Exhibition & Congress Centre of Gothenburg, it will be held from the 16th to the 18th of June. Could Top Moka miss such an event? We leave to you the tough answer!!!! Many invites for a free entry will be sent to all our clients, who will wish to attend the Fair, and come to visit us at the Stand n. A9. We'll see you there. • 21 April 2015: l'importante evento di Londra, che sarà tenuto all'Olympia Hall dal 13 al 14 Maggio 2015 e che vedrà la partecipazione delle migliore Aziende, legate al mondo del caffè, negli UK, sarà una meta anche per Top Moka, che presenterà le sue novità allo Stand A68. Siete tutti invitatissimi. We'll see you there. The important event, which will be held in London at the Olympia Hall on the 13th and 14th May 2015, and that will be attended by the best Companies linked to the Coffee world, in the UK, will be an event where Top Moka, as well, will introduce its novelties at the Stand A68. You are, all, more than welcome to visit us. We'll see you there. E' ancora tempo di Trieste Expo. L'edizione 2014 sarà, come sempre, un'occasione per incontrare tutti coloro che fanno del caffè una passione ed un lavoro costante. Top Moka sarà presente e vi aspetta per condividere e mostrarvi le sue nuove idee e progetti, nello Stand 27 Hall 30. L'evento si svolgerà nella località Nuova dei Magazzini del Porto Vecchio, dal 23 al 25 Ottobre. Arrivederci a presto. It's time, once more, for the Trieste Expo event. The 2014 edition, as usual, will be an opportunity to meet all those that make, out of coffee, a passion and a costant working effort. Top Moka will be present and will be waiting for you to share and show you its new ideas and projects, at the Stand 27 Hall 30. The event will be held in a new location: Magazzini del Porto Vecchio, from the 23rd till the 25th October. See you soon. Dove ci potrete trovare, visitare e vedere le ns. ultime novità, nel prossimo futuro? A Madrid, per un grande evento fieristico: Intergift 2014. La Fiera che si svolgerà dal 10-09 alm 14-09, al noto complesso della Feria de Madrid, non ospiterà solo Integift, ma anche le Fiere parrallele Iperloya and Bjsutex. Visitateci al ns. Stand 7F24, nel Padiglione 7 Area Delic, e vi stupiremo. E' una promessa. Where can you find us, visit us, and check out our latest novelties, next time around? In Madrid, for a great Fair event: Intergift 2014. The Fair, which will be held from 10-09 till 14-09, at the famous Feria de Madrid complex, will host, not only Intergits, but two parallel Fairs - Iperloya and Bjsutex, as well. Do visit us at our booth 7F24, in the Hall 7 Area Delic, and we will amaze you. It's a promise that we will keep. Quest'anno, Scae World of Coffee, si terrà a Rimini, una rinomata città turistica, sulla costa dell'Adriatico. Top Moka sarà, naturalmente, presente, come gli scorsi anni, sopratutto in questa occasione, dove si "gioca in casa". Invieremo, a tutti i ns. clienti, un invito a partecipare a questo evento, in cui, oltre agli innumerevoli importanti Compagnie presenti, ci sarà la finale del Campionato del mondo per baristi. Vi aspettiamo allo Stand 030, nella Hall C7, per presentarvi tutte le nostre novità. This year, Scae World of Coffee, will be held in Rimini, a renowned touristic city, on the Adriatico sea coast. Top Moka will be, naturally, present, above all on this occasion, where we "play at home". We will be sending, to all our clients, an Invitation to take part to this particular event, in which, aside from the countless important Companies exhibiting, there will be the finals of the Barista World Championship. We will be there for you at the Stand 030, in the Hall C7, to show you all our latest novelties. Please, do not be shy. Una grande opportunità per un mercato in netta crescita. 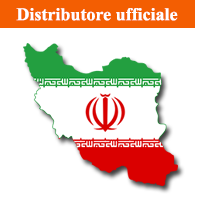 La fiera "Home & Garden" 2014, che si svolgerà nel moderno complesso fieristico di Istanbul, sarà un'importante occasione per l'incontro fra Exhibitors e Buyers del mercato turco e medio-orientale, in particolare, e del mondo, in generale.Top Moka non poteva farsi sfuggire la possibilità di essere presente ad un tale Trade show. L'evento si terrà dal 27 al 30 di Marzo, e, come sempre, vi aspettiamo numerosi al ns. Stand Top Moka. A great opportunity for a market in steady growth. The fair "Home & Garden" 2014, which will be held in the modern exhibition centre in Istanbul, will be an inportant occasion for Exhibitors and Buyers of the Turkish and Middle east market, in particular, and of the world, in general, to meet each other and have the chance to talk and do business. Top Moka couldn't have let this happening slip away, unheeded. The event will be held from 27th till 30th of March, and, as usual, we'll be waiting for you, in huge numbers, at our Top Moka booth. Top Moka si ripresenta al pubblico Internazionale, partecipando all'evento fieristico Creativ Salzburg in Austria, dal 28 Febbraio al 2 marzo 2014. La Fiera, che richiama esibitori e buyers dei settori regalistico, casalingo e lifestyle, di tutta Europa, si terrà al modernissimo Messezentrum Salzburg in Salisburgo. Siete tutti invitati a vedere le ns. novità, nella Hall 10, allo Stand G03. Auf Wiedersehen!!! Ooops!! We did it again. Top Moka will be, once more, visible to the International public, taking part to the renowned event Creativ Salzburg in Austria, from 28th February till 2nd March 2014. The Fair, which gathers exhibitors and buyers from the gifts, home and lifestyle sectors, will be held at the state-of-the-art Messezentrum Salzburg in Salisburg. You're all invited to check out our novelties, in the Hall 10, at the booth G03. Auf Wiedersehen!!!! Con l'inizio dell' anno nuovo, Top Moka ricomincia ad esporre i suoi prodotti "Made in Italy" in tutto il mondo. In primis, abbiamo scelto la Spring Fair in Birmingham, Inghilterra, dove migliaia di buyers e professionisti del settore regalistica e casalinghi di tutta Europa, saranno presenti per visitare i tanti Stands espositivi delle prestigiose Ditte presenti. L'evento si terrà nel complesso fieristico NEC, nei padiglioni 1-9-19 e 20, dal 2 al 6 Febbraio. Venite a visitarci nella Hall 1, Stand L29. Vi aspettiamo, come al solito, numerosissimi. With the beginning of the new year, Top Moka starts, once again, to display its "Made in Italy" products, all around the world. First of all, we have chosen the Birmingham Spring Fair, held in the throbbing English city, where thousands of buyers and professionals of the Gift and Home's sectors, from all over Europe, will be present to visit the many displaying booths of all the prestigious exhibiting Enterprises. The event will be held at the NEC Fair complex in Birmingham, in the halls 1-9-19 and 20, from the 2nd till the 6th February. Please, do come to visit us in the Hall n. 1, at the L29 Booth. We hope to see you, as usual, in big numbers. 15 Luglio 2013: "I Love it - 100% Italian Style", è il tema dell'evento organizzato dal Confartigianato Imprese Piemonte, in collaborazione con l'Hotel Diplomat di Praga, per promuovere l'artigianato ed il made in Italy, in generale, nella Repubblica Ceca. L' avvenimento si terrà dal 3 al 5 Ottobre, a Praga, presso il prestigioso Hotel Diplomat. Top Moka, sarà tra le ditte espositrici, per la gioia di tutti gli amanti del caffè ed i conoscitori del settore. Sperando di vedervi numerosi, vi diamo, a tutti, l'appuntamento in quel di Praga. "I love it - 100% Italian Style", it' s the main theme of the event organized by Confartigianato Piedmont Enterprises, in collaboration with Hotel Diplomat in Prague, to promote craftmanship and made in Italy, in general, in the Cezch Republic. The exhibition will be held from the 3rd till the 5th October, in Prague, at the prestigious Hotel Diplomat. Top Moka, will be among the exhibiting enterprises, for the pleasure of all the coffee lovers and the operators in the coffee business. Hoping you' ll be turning out in big numbers, we'll be extremely glad to see you there. 15 LUGLIO 2013: Top Moka sarà presente a Mosca, dal 12 al 14 Settembre 2013, alla Fiera United Coffee & Tea, per uno dei più importanti eventi annuali per il mercato, del caffe e del te, dei paesi dell' Est europeo. Non mancate di farci la Vs. gradita visita al ns. stand N. G4, saremo lieti di farvi vedere le ns. ultime novità. Un arrivederci a Mosca. Do svidaniya. Top Moka will be taking part in Moscow, from the 12th till the 14th September 2013, to the United Coffee & Tea fair, one of the foremost annual event for the coffee and tea market , for the East european countries. Do not fail to pay us your much appreciated visit, at our G4 Stand, it will be our pleasure to show you our latest novelties. A "see you later in Moscow" to all of you. Do svidaniya. 21 Maggio 2013: dal 26 al 28 Giugno 2013, Top Moka sarà presente alla Fiera Scae world of Coffee, che quest'anno si svolgerà Nizza - Francia, dove tutti i maggiori cultori e rappresentanti del mondo del Caffè, si riuniranno per incontrarsi e scambiarsi le ultime novità e prodotti. Siete i benvenuti al ns. stand E02 nella Hall principale. La Vs. visita sarà più che gradita. From 26th till 28th June 2013, Top Moka will be attending and present at the SCAE World of Coffee Fair, which this year will be held in Nice - France, and where all the major representatives and lovers of the Coffee business, will get together to meet and exchange the last news and products related to it. You' re are more than welcome to our Stand E02 into the main Hall. Your visit will be immensely appreciated.